What happens when two sheltered Americans take a three-month break from careers, home, and the Internet to backpack a 900-year-old trail across Europe? Enter promo code WALKING to get a 20% discount! In her late thirties, Beth Jusino longed to escape, at least temporarily, her busy urban life. She wanted something beyond endless meetings and 24/7 screen time. Which is how she and her husband, Eric, found themselves laden with backpacks and nerves, stepping out of a historic cathedral in Le Puy, France, heading down a cobblestone street, and turning west. 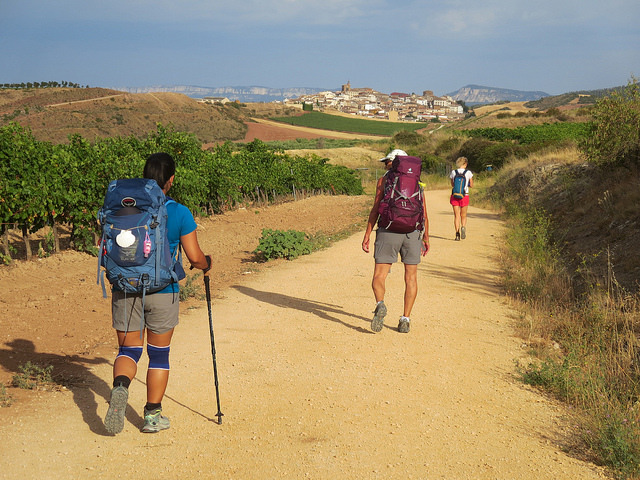 They were walking the Camino de Santiago, a 900-year-old pilgrimage route that winds a thousand miles across the Pyrenees and through France and Spain. Despite months of meticulous planning, Beth discovered she was woefully unprepared once they hit the trail. Her limited French (le pomme est rouge) and the unaccountably closed shops and cafes presented early obstacles, while her perpetually problematic feet, dubbed “The Princesses,” threatened to end the adventure more than once. 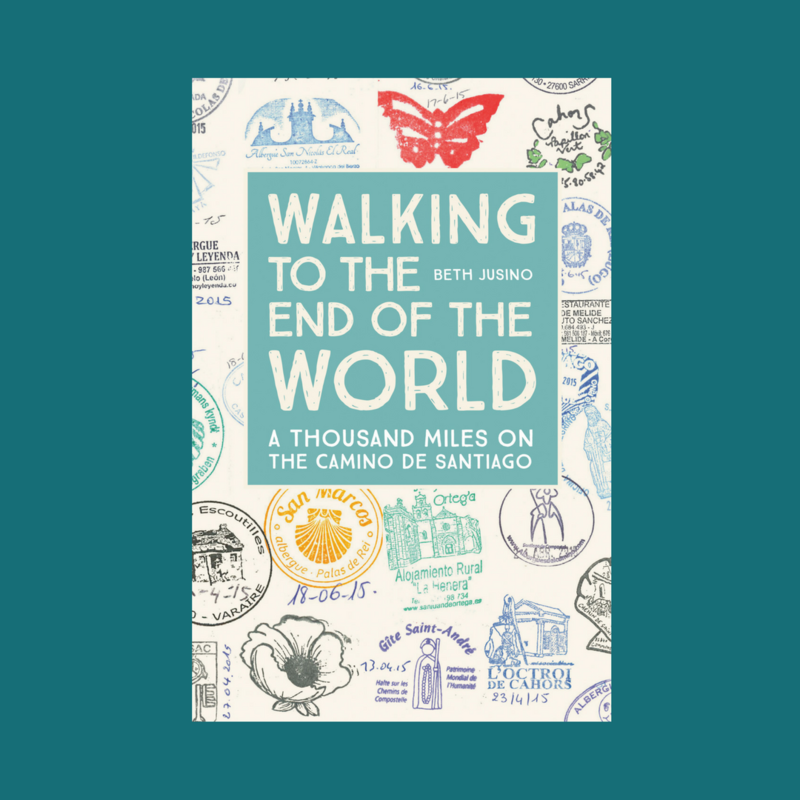 But the famed Camino always provides, and in time, Beth found a way to break free from the routines and expectations of everyday life and embrace the challenges, as well as the gifts of friendship and perspective she discovered along the way. Infused with humor and gentle irony, Walking to the End of the World is a warm-hearted and engaging story about letting go, getting outside, and living at a human pace. And yes, those are my real credential stamps on the cover. Every one of them tells a story that’s in the book. It’s all the creative genius of my publisher, Mountaineers Books. And if you think the cover is great, just wait until you see all of the surprises inside the book! (Maps! Photos! Lists!) I’m grateful to partner with an independent press whose primary goal is to encourage more people to get outside. Looking forward to the Kindle edition. Me, too! Should be out on the official release date, October 1.